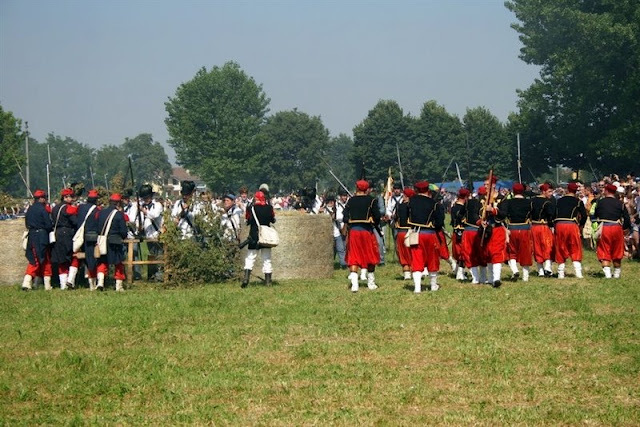 The Austrian army was in full retreat when it was pulled up near Magenta, with the object of checking the advance of the French, who had already begun to cross the Ticino by the bridges of San Martino and Buffalora, the ones the Austrians had tried to blow up, but had not succeeded from want of proper powder.. 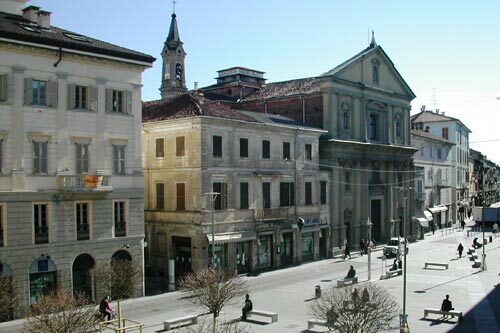 The main road, which ran eastward to Milan, the capital of Lombardy, crossed the Ticino at the village of San Martino. 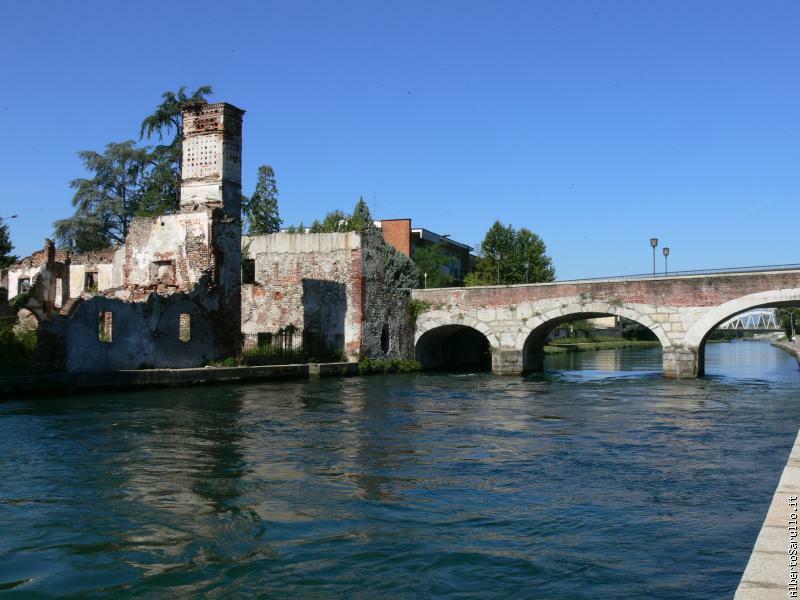 There, the Austrians had built a redoubt on the river's west bank to protect the bridge.Seven miles to the north of San Martino, the Austrians had left the Ticino unguarded at Turbigo. On June 2, Napoleon III summoned Maj. Gen. Jacques Camou, the commander of the Voltigeur Division of the Guard, and ordered him to secure a bridgehead there. 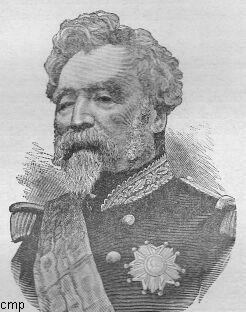 Major General Joseph-Edouard de La Motte Rouge, a French divisional commander, watched Camou's guardsmen leave Novara. 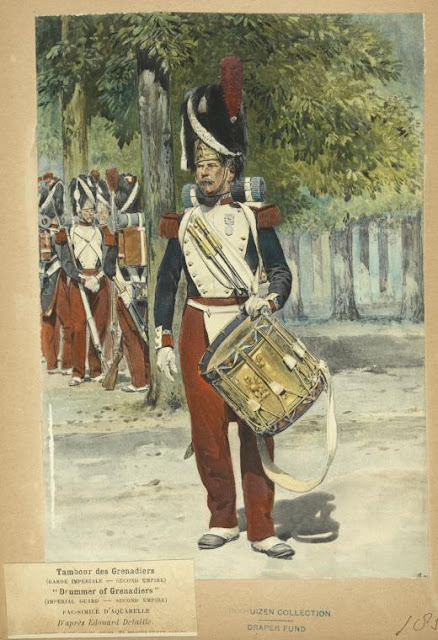 Nothing was finer, he recalled, than to see these magnificent troops parading in the streets of the town, with drummers beating and a band leading the way, before going to prepare the invasion of the enemy territory. 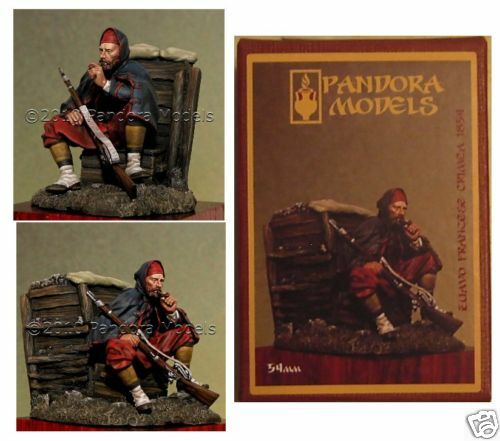 metal modeles foreign legionaaire but at a whoppng price 23 .95 per one 54mm. mine are 5.95 and better!!!!!!!!!!!!!!!!!!!!!!!! 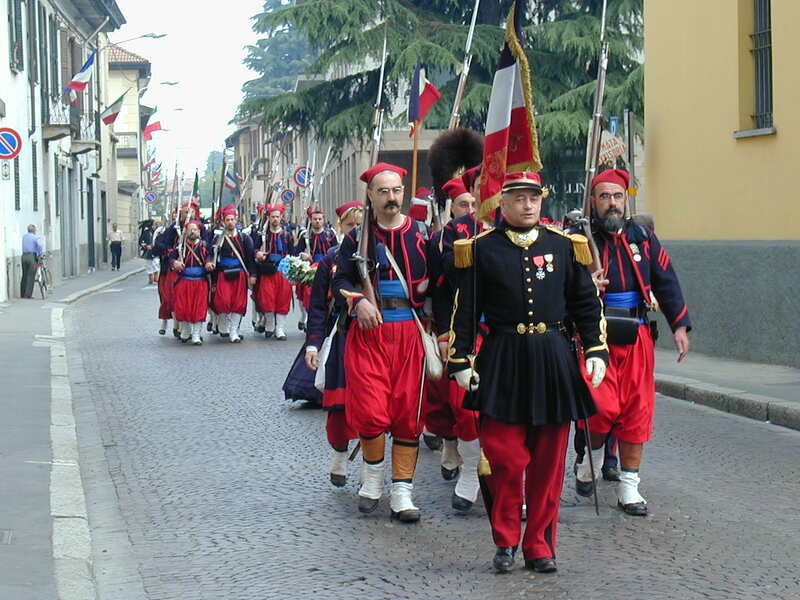 Napoleon III planned a two-pronged advance on June 4 to open the main road that crossed the Ticino and continued on to Milan. 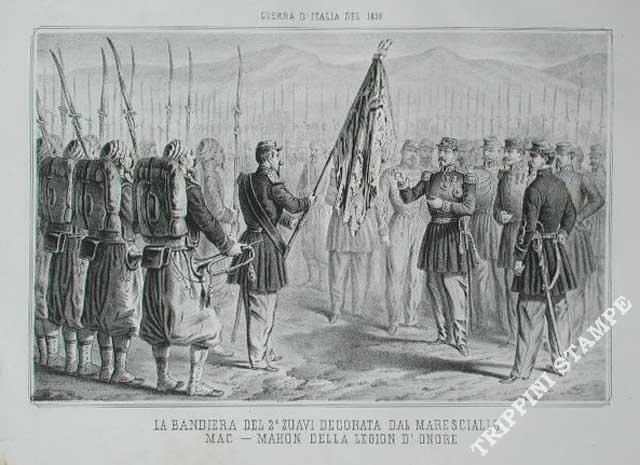 One prong, spearheaded by the Grenadier Division of the Guard, was to thrust along the road across the Ticino at San Martino and then eastward toward the village of Magenta. Meanwhile, the second prong–MacMahon's II Corps, supported by the Voltigeur Division of the Guard and followed by the Piedmontese army–would press southward from the Turbigo bridgehead to Magenta, where the two sections of Napoleon III's army would unite. 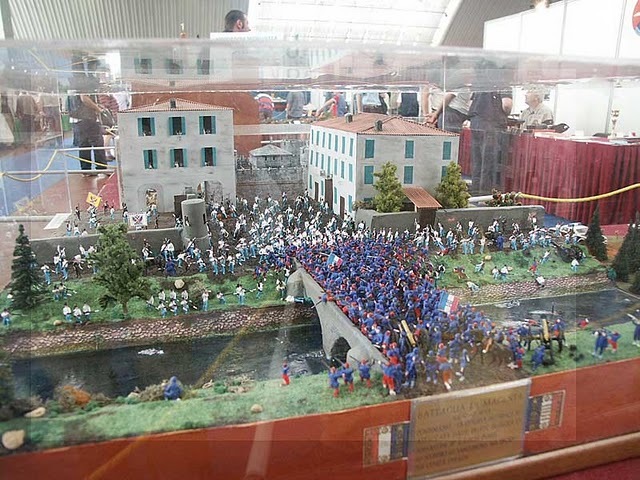 The night of 2 and 3 June saw French engineers, protected by artillery, build at Turbigo, a bridge of boats of around 180 metres. Thus with this move of the 2nd Corps under the command of General Patrice de Mac-Mahon the French initiated the first clashes at Turbigo and Robecchetto in what would be the blood bath of Magenta. 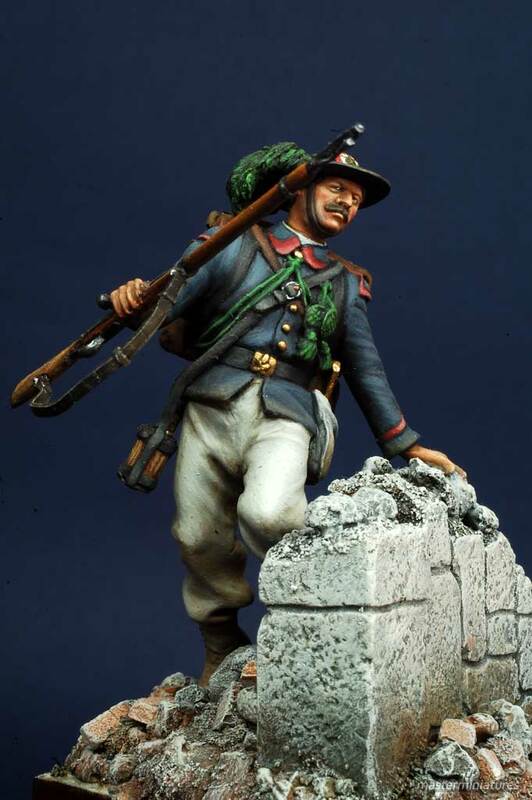 On the morning of the 4th Mac Mahon divided his troops into two columns by directing the 2nd div.of Espinasse towards Marcallo and the 1st Div of De La Motterouge towards Boffalora. 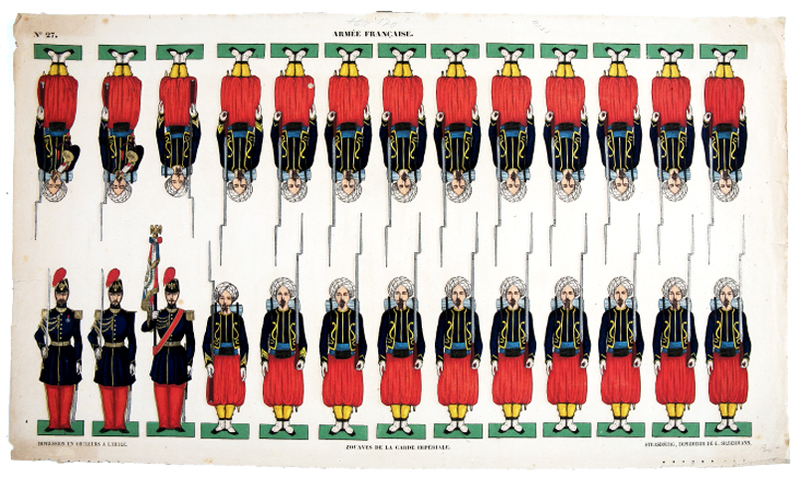 Gallas espinasse De La Motterouge This is more or less the Legion in 1859 but not sure if this one is figured on the Franco Prussian War. The French Storm the bridge into Magenta. 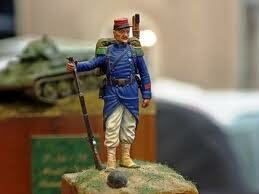 This is a plastic diorama thjat was on view at Novegro for the 54mm soldier exhibition. Photos below were taken by Big Boss on Blogger see his blog. 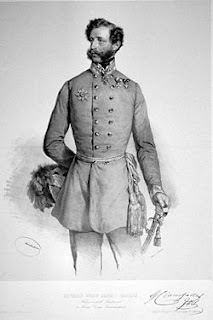 Napoleon III's plan was fraught with risk and would have proved fatal against a competent foe. If the two allied prongs ran into serious opposition, they would find themselves disunited and unable to lend each other immediate support. 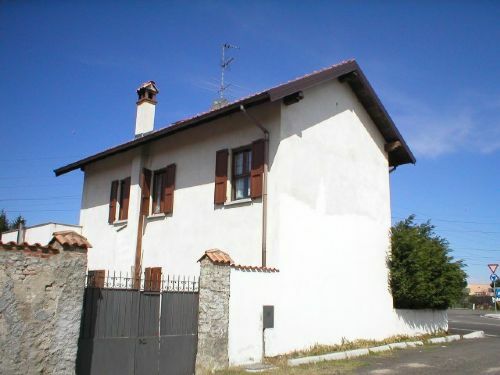 No telegraph line linked San Martino and Turbigo, so the French would have to rely on horsemen and cannon-shot signals for communications. 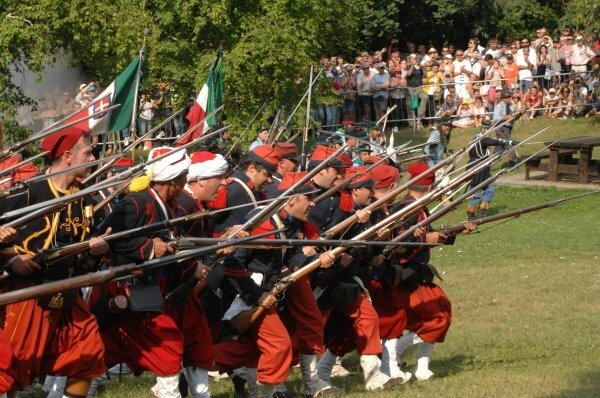 The French Guard and the II and III corps, supported by the Piedmontese, were to take up positions on the east bank of the Ticino and face south, from which direction the Austrians were expected. The French I and IV corps would stand on the west bank and face south to cover the allied lines of communication to Turin and Genoa. Magenta would be an encounter battle, unexpected by either general and fought by only a fraction of each army. 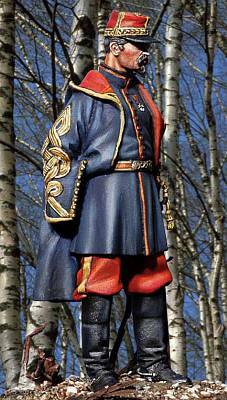 Ironically, Gyulay had intended to give his troops a day's rest on June 4 to adjust his dispositions. 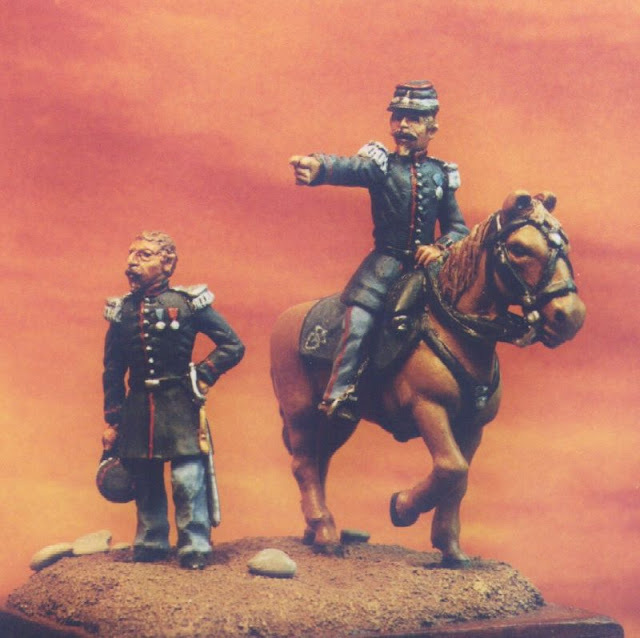 He had only the II Corps, most of the I Corps, a cavalry division and part of VII Corps immediately available for a battle at Magenta. Other units, including the III Corps, were within reasonable marching distance of the battlefield, but Gyulay's army was chronically disunited as it straggled back into Lombardy. 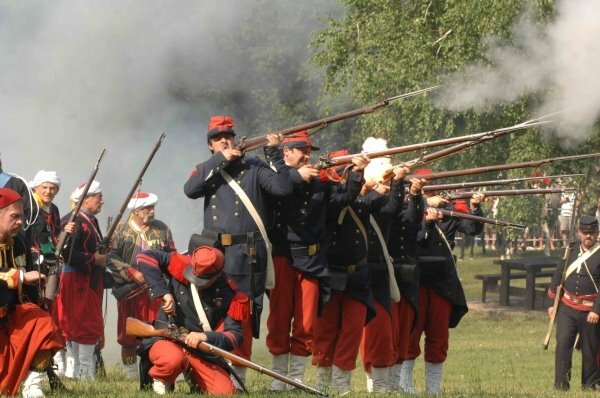 Thus the French were not going up against a strongly defended or well-prepared position. But if they failed to establish themselves at Magenta by dusk, they would face a nearly impossible task later on. The Grenadier Division of the Guard began to reach San Martino at 10 a.m. on June 4. 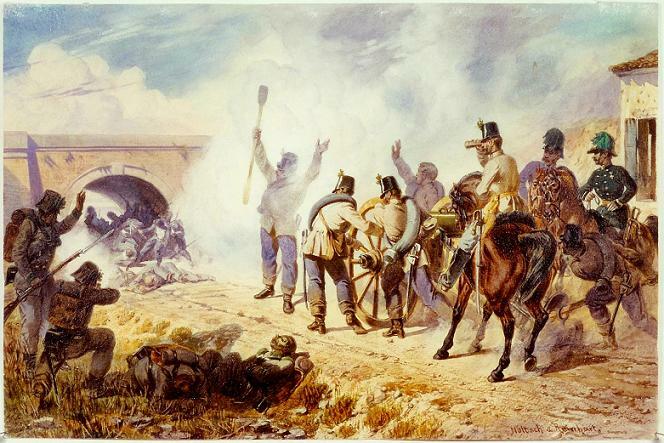 Thirty minutes later, Napoleon III also arrived, and soldiers began to repair the damaged bridge and build a pontoon crossing 300 meters to the north. 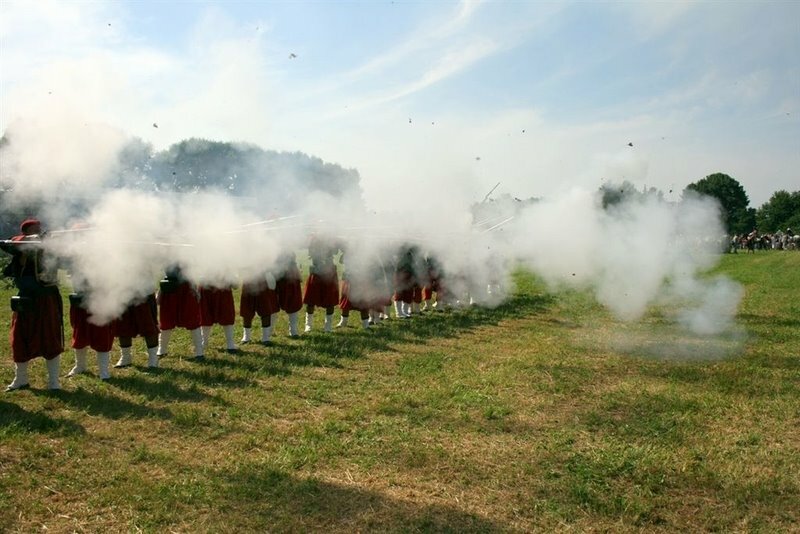 Toward noon, the emperor heard firing from the north and saw clouds of smoke through the trees. 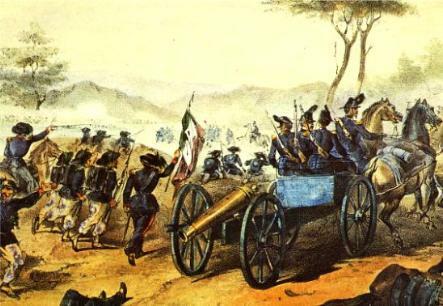 MacMahon had begun his advance from the Turbigo bridgehead. It was the signal to unleash the Guard along the main road to seize Magenta. 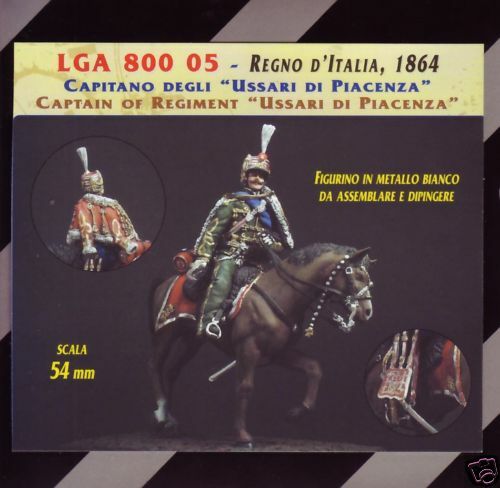 From the Ticino, the guardsmen first had to advance two miles across a low, flat and exposed plain. This led to a steep bank that rose 50 or 60 feet. East of this bank lay the Naviglio Grande canal,above which was 10 meters wide and 2 meters deep with masses of prickly acacia growing on its steep sides. It also had a strong current and could not be crossed except by bridge. But the Austrians had managed to blow up only two, at the villages of Boffalora to the north and Ponte Vecchio to the south. In between lay two intact bridges. 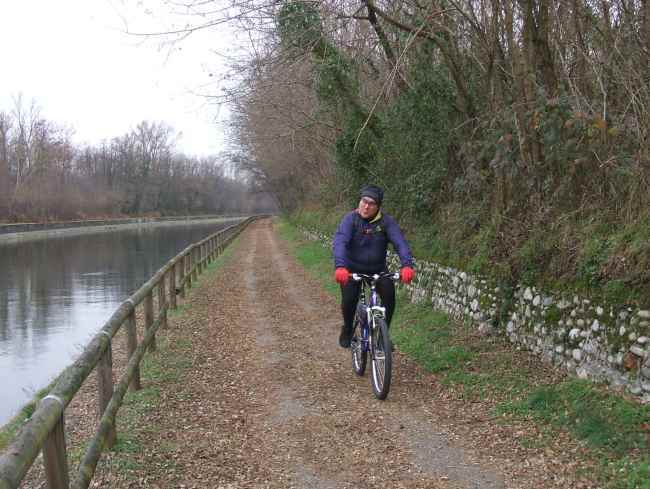 One carried the main road over the canal at the hamlet of Ponte Nuovo. 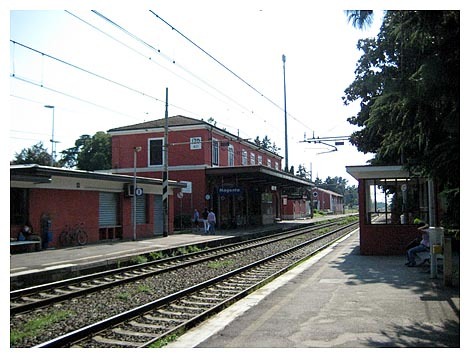 Four hundred meters to the south, the other bridge served the railway, which ran parallel to the road all the way to Milan. Without those two vital bridges, the French could not have forced a crossing by direct assault from the west. 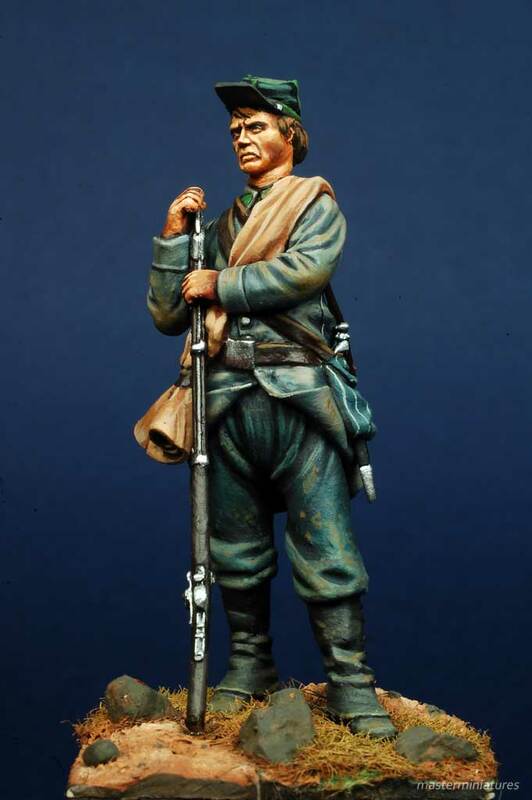 MacMahon's command would then have been dangerously isolated as it advanced southward on the east bank. 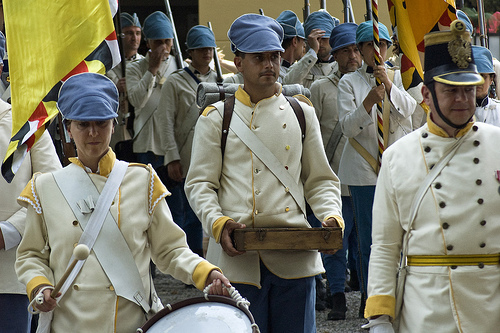 the estense regiment were Italians from the duchy of Modena who fought for the Austrians. I always fought it was the other way round. 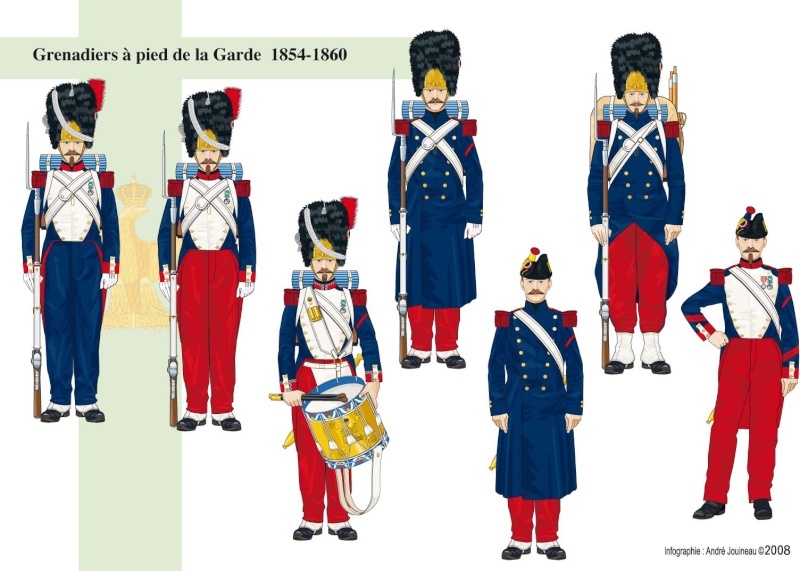 The Grenadier Division of the Guard was a crack formation of tough troops and renowned commanders. 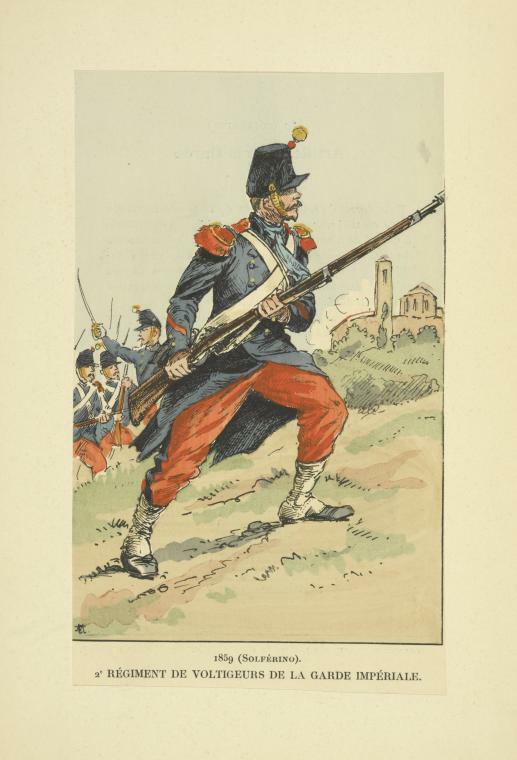 One of the division's four regiments, the 2nd Grenadiers, thrust northeastward along a minor road to Boffalora. 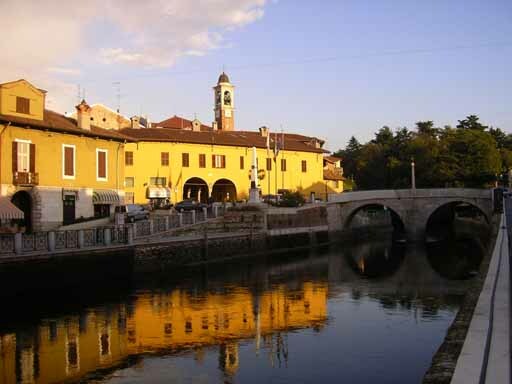 The soldiers attacked the village but found that the bridge had been blown up, so they could only fire across the canal. Better luck awaited the 3rd Grenadiers 2,000 meters to the south. 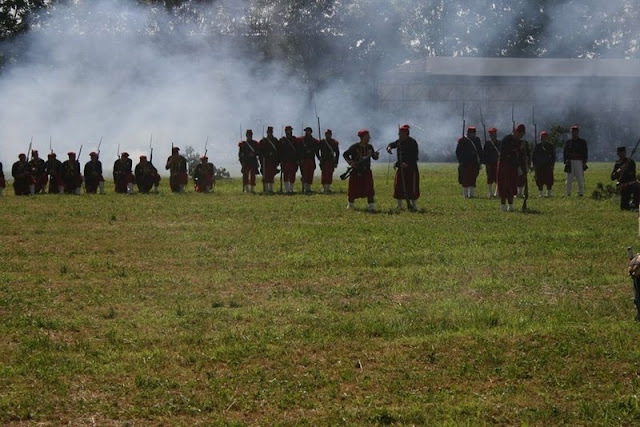 The regiment advanced along the main road, followed by the Zouaves of the Guard and two guns, while the 1st Grenadiers remained near the Ticino in reserve. The 3rd Grenadiers had covered less than half the distance over the plain when they came under fire from three guns. 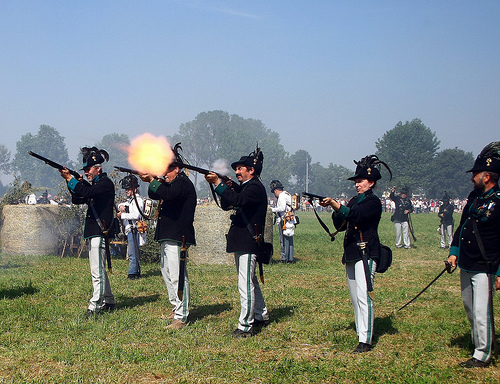 Two French cannons returned fire and forced the Austrian artillerymen to retire, while the grenadiers quickly descended into the fields south of the main road. 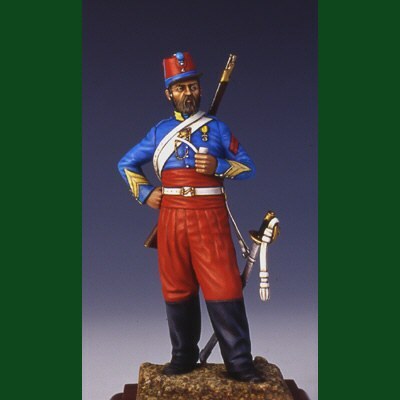 The 3rd Grenadiers waded through the soaked fields, knee-deep in water and ankle-deep in mud. The steep bank now loomed above them and looked like a man-made embankment constructed especially for defense. White-coated Austrian infantrymen had massed at the points where the road and the railway reached the top of the heights, and barricades guarded these two access points. Austrian reserves sheltered under cover. 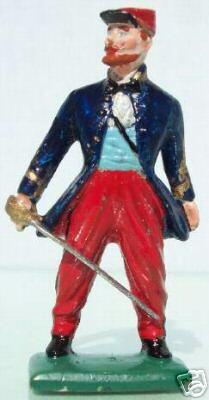 A visitor to the battlefield later commented, The position was so good, that it seemed almost madness to attack it. The weakest point was the railway line. Immediately next to it, on either side, the ground was bare; no trees or vines would hinder charging troops. Furthermore, the railway ran gently up to the crest of the heights on an embankment, which would cover the attackers on one side from flanking fire. The greatest obstacle was the large, exposed field the grenadiers would have to cross to reach the foot of the bank. The leading battalion assembled at the edge of the field behind a row of trees and then dashed forward under a hail of fire. 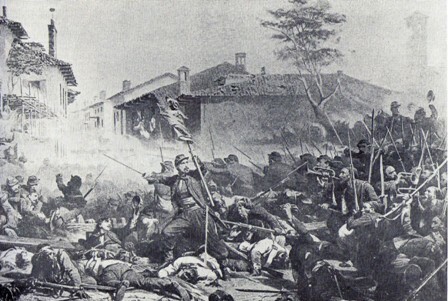 Before the Austrians could reload, the survivors had reached the far side. Quickly depositing their heavy knapsacks, they charged up the slope. 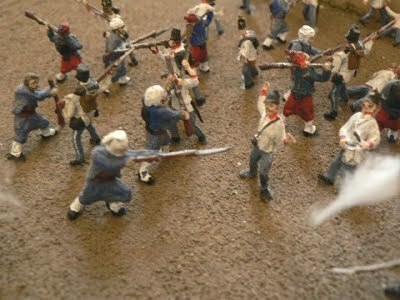 The grenadiers wasted no time firing upward but counted on the sheer élan of their assault to guarantee their success. 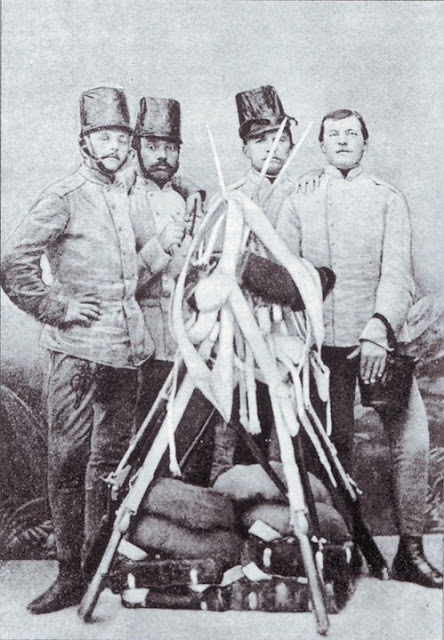 Indeed, before the first man reached the summit, the Austrians had abandoned both their positions and a gun. 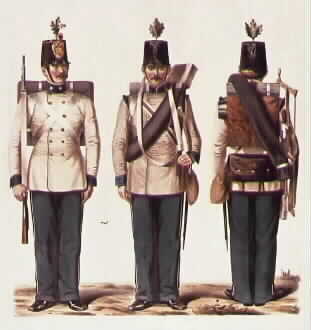 Hungarian infantry in the early 1860's, dressed in kittels as in the 1859 campaign. 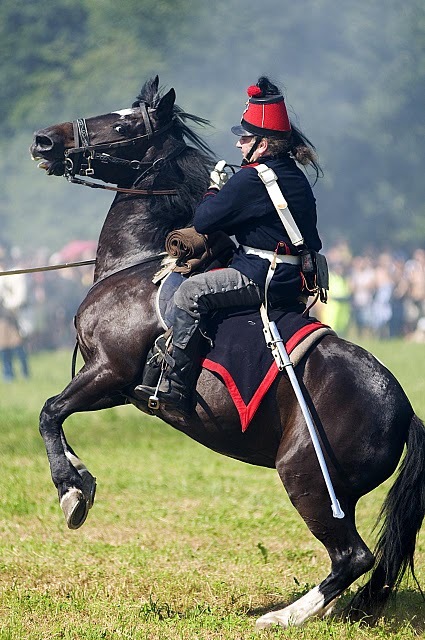 A reconstruction date unknown of the apperance of the German cavalry in the mid-19th century. 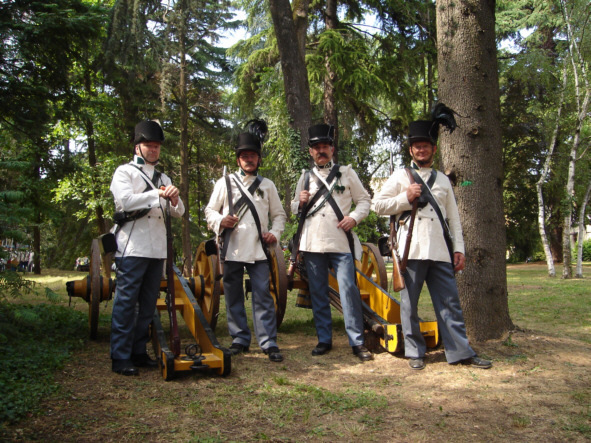 The Kurassiers in front are in the pre-1848 uniform. 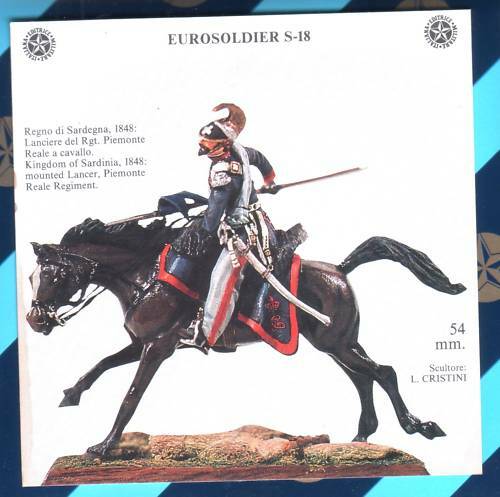 The dragoons at the back are in the post-1850 uniform, wearing waffenrocks and crestless helmets with eagle plates. (Again no date for when the picture was actually taken). Di Lorenzo A., stampata a Napoli nel 1860 da Eduardo Duclère. After passing the Ticino, the French were divided into two columns: one in the area of Turbigo and another at Pontenuovo magenta. 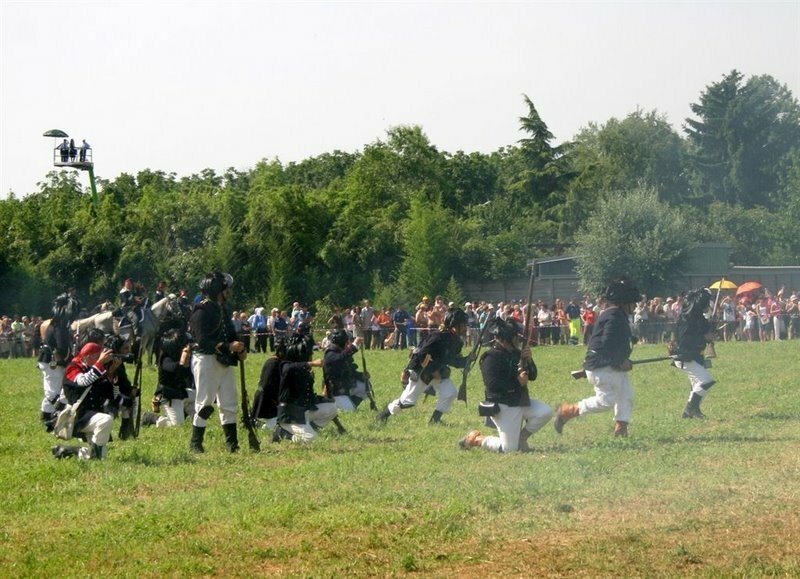 The French arrived in Boffalora through the paths leading to it from the Ticino Valley up near Cascine Bevilacqua, Venegoni and Cucchiani, .Here they had the first clashes. 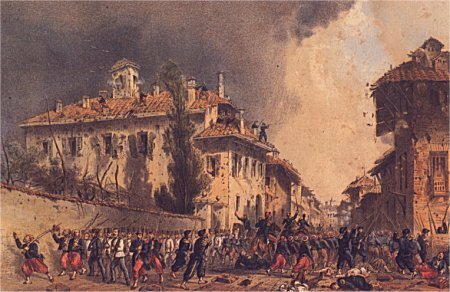 At about noon, the French of the 2nd Regiment of the grenadiers of Colonel D'Alton arrived in the center of town and the Austrian General Baltin, at the bridge on the Naviglio Grande, gave orders to blow up the bridge; the operation but it didnt go well because of wet powder, which allowed the collapse of only half of the structure, allowing the French to pass through with aid of the construction of a wooden walkway that was improvised in the moment. But Mac Mahon is stationary waiting to coordinate the movements of his columns and the 3rd Corps are late arriving, from Novara. Meanwhile, from Abbiategrasso the bulk of the Austrian troops are arriving this makes the situation more than critical for the French to the point that to Vienna is sent a telegram that announces a landslide victory. 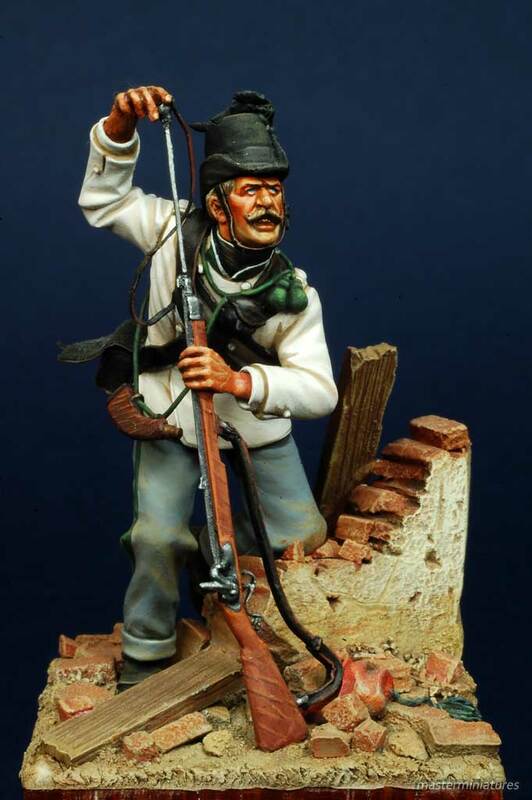 After fierce fighting the French remain with an uncertain outcome but manage to get on top again only when the Austrians were threatened on the right flank by Mac Mahon which incorporated an attack on Boffalora, they then retired to Magenta. The peripheral location of the Villa Giacobbe, sits upon the entrance to Magenta it , is strategic as it dominants with its towers the railway line, the station and the streets for Boffalora and Marcallo; This fact caused it to be one of the main points of the Austrian defensive lines during the battle of 4 June 1859.
it depends upon the Zouaves to oust the Kaiserjagers but general.Espinasse is mortally killed, hit by the Kaiserjager who occupied the villa.below are the re-enactors of zouaves at Magenta last year. 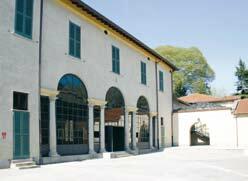 casa Villa Giacobbe or Casa Jacob. 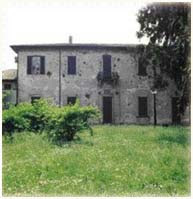 heavy fighting took place here and this is how it is today.Below is the assault on the villa. 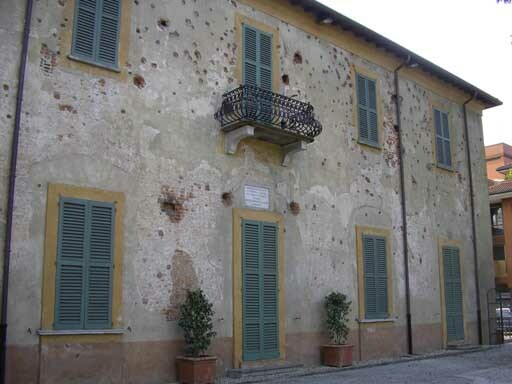 Villa damage caused by the clashes of 1859 are still partly visible: the façade towards the garden, crivellata by bullets, was in fact retained, after restoration, in this State which remember glorious battle, ' returning it depends upon citizens to Magenta during the celebrations of 144 ° anniversary of the battle of Magenta and making it become ' culture house depends uponIn fighting falls on Jan.. 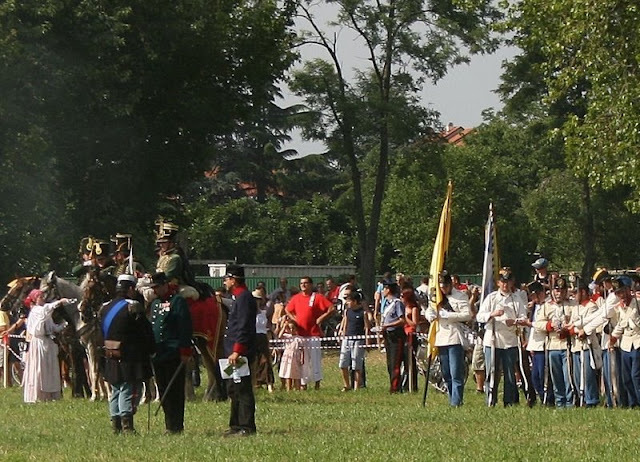 Towards evening the Bersaglieri and infantry and Piedmontese artillery batteries of General Durando arrived to cover the left flank and participate in roundups in the village. It was a temporary setback. 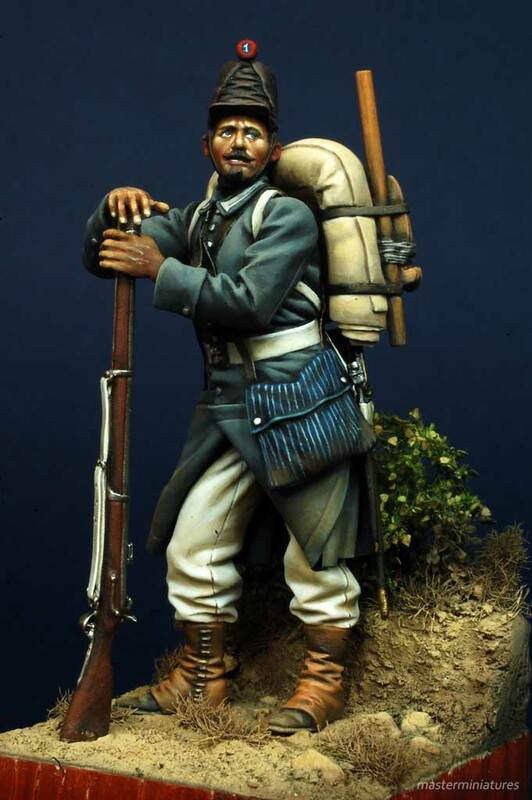 Brigadier General Jean Joseph Gustave Cler brought up the ferocious Zouaves of the Guard, who burst over the bridge and cleared the customs houses on the far bank with cold steel. 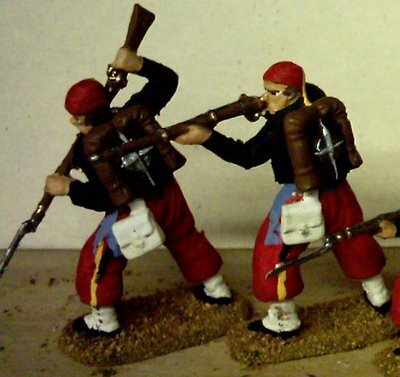 How fine it was, recalled a Zouave captain, to see our old sweats cheerfully prepare to attack and hurl themselves on the canal bridge shouting 'Long live the Emperor!' We were sniped at from all the windows of the customs houses situated on the other side of the bridge. We lost some men but rapidly took the crossing and saw the Austrians fleeing on every side. So far everything had gone pretty well according to plan for the French. 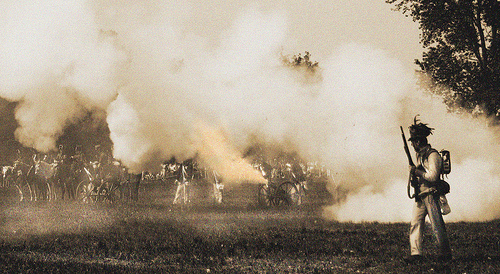 But, suddenly, an entire division of the Austrian VII Corps launched a powerful and wholly unexpected counterattack. 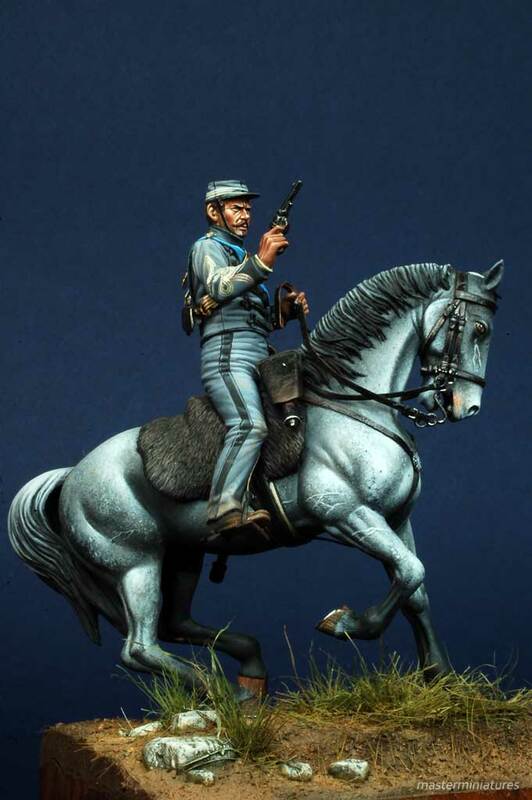 Cler's riderless horse appeared out of the smoke; the intrepid general had fallen dead in the midst of his soldiers. 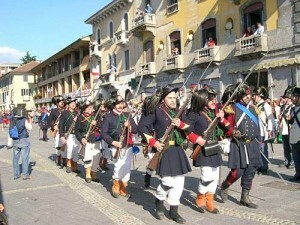 The Austrians seized a French gun and retook the houses of Ponte Nuovo on the east bank. 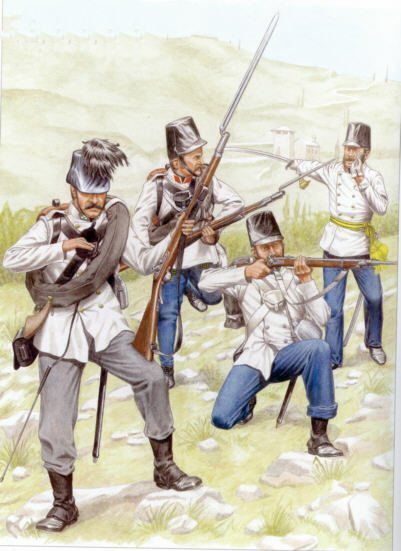 Outnumbered and weary, the Grenadier Division was isolated on the edge of the plateau above the plain as fresh Austrian units advanced against it. 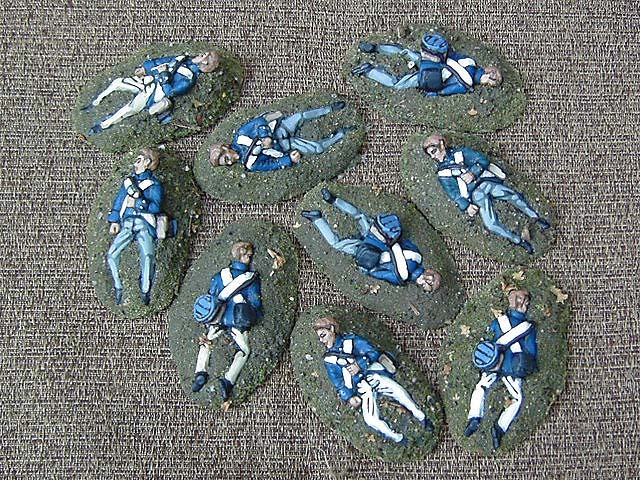 If the guardsmen gave way, they would be unlikely to regain their foothold, and MacMahon, whose guns had fallen strangely silent to the north, would be alone, in a perilous position. 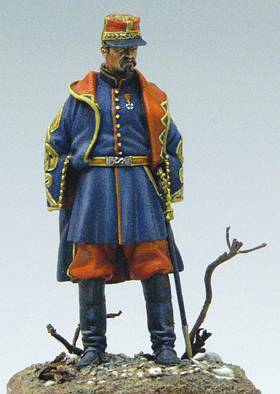 I have not discovered who this above regiment is but maybe Kaiserjager in winter uniforms. 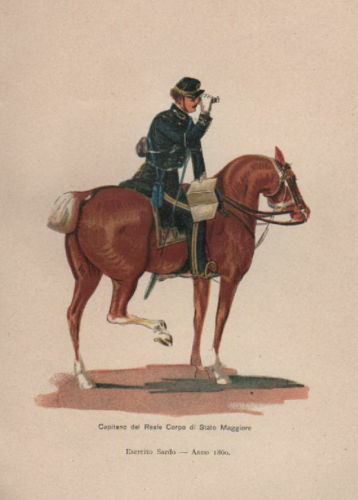 Messengers seeking reinforcements galloped to Napoleon III at San Martino only to be told bluntly: I have nothing to send. Hold on. Block the passage. 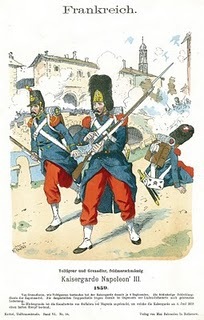 Other messengers rode off one after another to hurry the march of the French III and VII corps, which had been delayed by the congestion on the main road from Novara. For an hour, the heroic guardsmen fought against the odds and repulsed repeated frontal assaults by Austrian columns. At last, toward 3:30 p.m., when the agony was at its height, fresh troops in blue coats and red trousers appeared along the railway embankment. 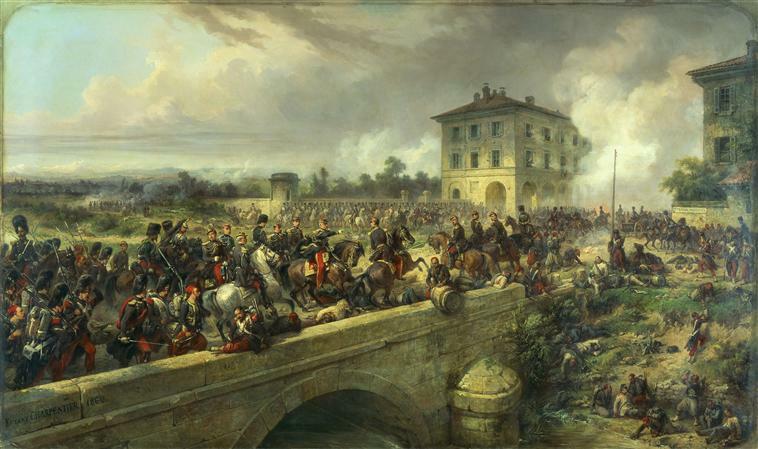 A brigade of Marshal François de Certain-Canrobert's III Corps had arrived in the nick of time to save the Guard's tenuous hold on the canal line. 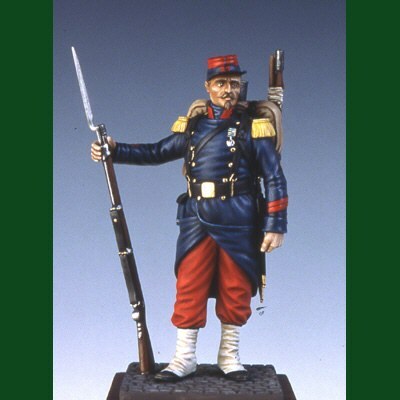 These fresh troops, the 8th Battalion of Chasseurs and the 23rd and 90th Line infantry regiments, had run the last two miles and arrived in disorder. The guardsmen shouted in joy and relief. 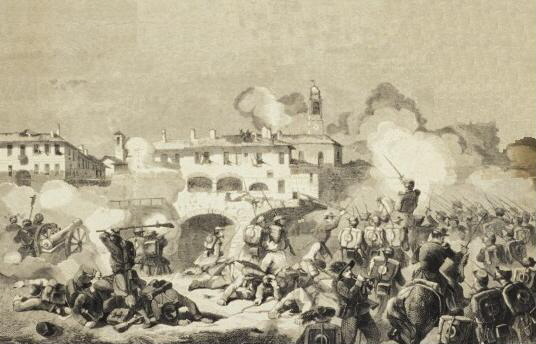 Immediately, some of the newly arrived infantrymen repelled the Austrians assaulting Ponte Nuovo while the rest rushed to Ponte Vecchio, where the Austrian III Corps was now attacking northwestward along both banks of the canal to try and roll up the French line from the south. The French took heavy losses in this unequal fight, but they had won time for the leading division of the IV Corps to arrive. That division, accompanied by the corps commander, Maj. Gen. Adolphe comte Niel, reached the canal at the run and went straight into action. 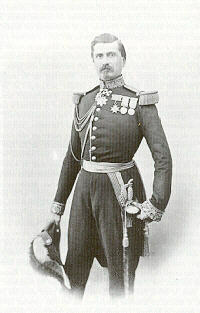 Colonel Barthélemy Véron-Bellecourt led his 85th Line Infantry scrambling up the railway embankment. 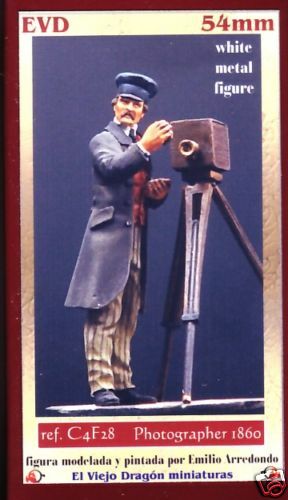 At the top, he found the Austrians just 20 paces from the railway bridge. He drew his sword, yelled To me, 85th! and led a ferocious bayonet charge that hurled back the foe. 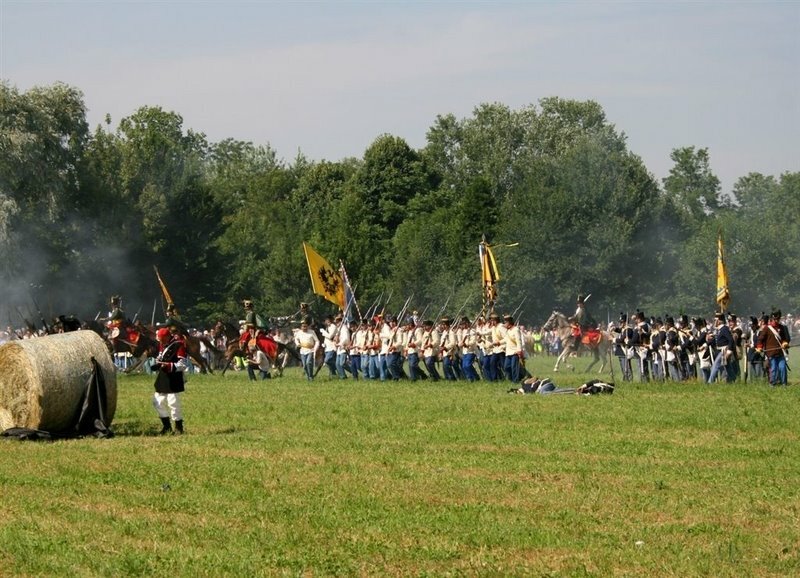 Savage fighting ensued, but at 6 p.m. another brigade of the III Corps arrived and further secured the French position. Meanwhile, what had befallen MacMahon's detachment as it descended from the Turbigo bridgehead? The march had begun at 10 a.m. but became a nightmare when it ran into Austrian resistance about noon. Rows of trees, countless irrigation channels and densely planted mulberry bushes limited visibility to 100 meters. The countryside was as difficult to traverse as the infamous bocage of Normandy that would prove so troublesome to the Allies in June 1944. 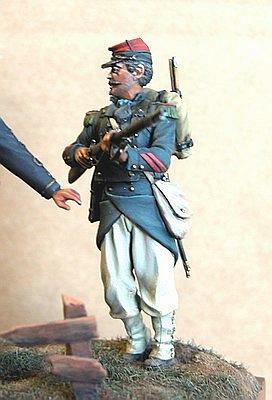 The French units often halted to re-form before pushing on southeastward in the stifling heat. The ground sloped gently but continuously, like the glacis of a fortress, up to Magenta. A potentially dangerous gap separated the two infantry divisions of the II Corps, and the Austrian I Corps commander, Lt. Field Marshal Eduard Graf von Clam-Gallas, launched a vigorous counterattack. MacMahon was so rattled that he pulled back and suspended the fighting until about 4:30 p.m., at which time the Austrians were fiercely assailing the grenadiers along the canal. Gyulay sensed victory. He thought that he had beaten MacMahon and would soon crush the Guard. 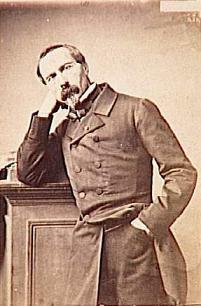 He therefore dispatched a telegram to Vienna, stating that he had successfully repulsed the French attack. Gyulay's announcement was a bit premature. 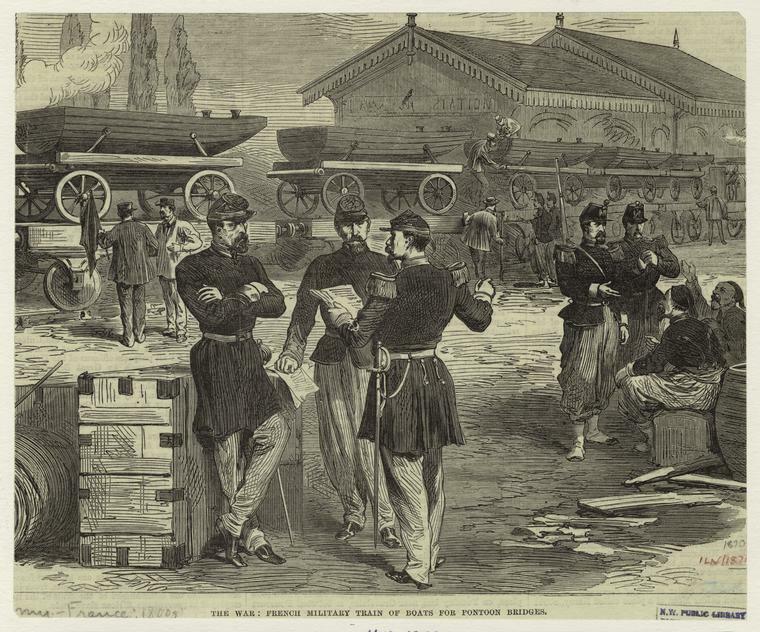 By 5 p.m. the Austrians were heavily engaged along the canal. MacMahon had rallied his command and at last renewed his advance, driving southward on Magenta as buglers and drummers sounded the charge. After a ferocious fight, the Austrians gave way and hastened to the village. One of MacMahon's divisional commanders, the intrepid Maj. Gen. Charles Marie Esprit Espinasse, led his 2nd Zouaves into Magenta but found corpses and wounded men covering the streets. 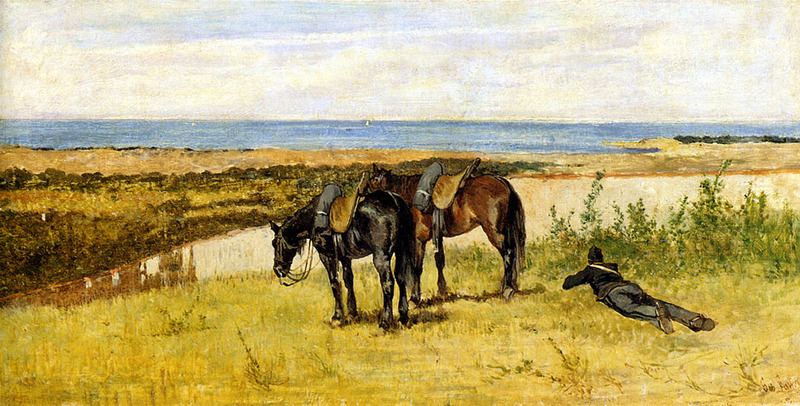 When his horse stumbled, Epinasse said: We can't stay on this moving ground. Let us dismount. 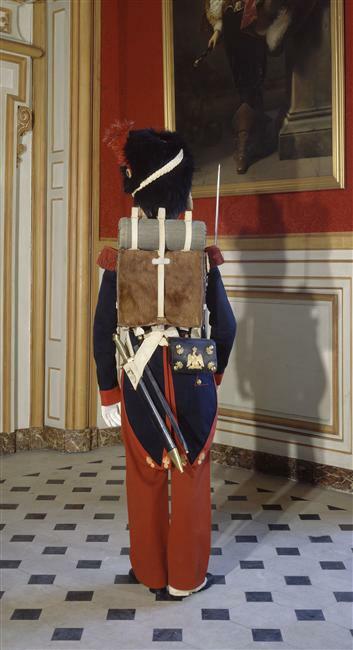 Suddenly, his 27-year-old orderly, 2nd Lt. André de Froidfond, took a bullet in the stomach and collapsed against a wall. Espinasse had a white dog, and few pets have been so faithful. The animal refused to leave the spot where the general fell, except when it heard the beating of a drum. Then the dog would dash away in the hope of finding its master. The local people adopted the dog, which died a couple of years later. 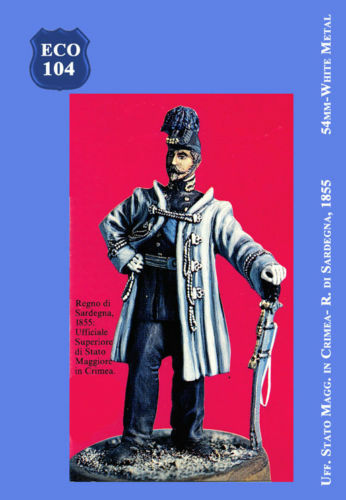 In this magazine in which I contribute now and then there are some great articles on the risorgimento again now and then. 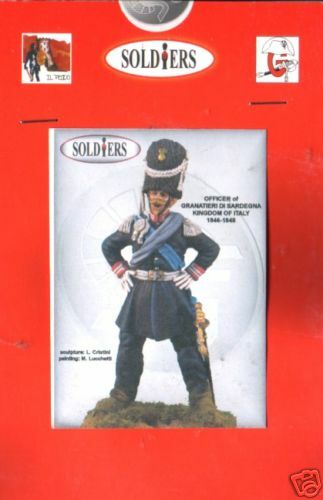 Its the best magazine format in my opinion for model soldiers.How our mags in the U.K could have been. 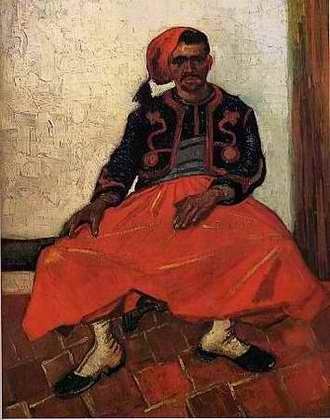 Espinasse's death did not end the struggle in Magenta. Nothing could give an idea of this dreadful fight, wrote one senior French officer, of this bloody turmoil, of these screams, this gunfire mingled with the rifle-fire, this furious and implacable melee. Squeezed in the narrow streets, our men seemed in their heroic, desperate attacks to take the houses corpse by corpse. 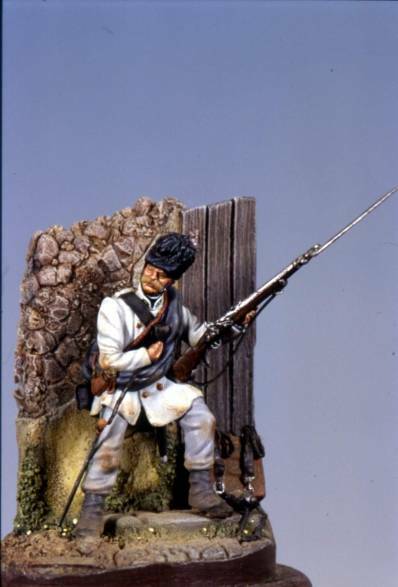 Magenta was home to 4,000 people, and the Austrians had turned each house into a strongpoint, which the French had to seize in brutal close-quarters fighting. 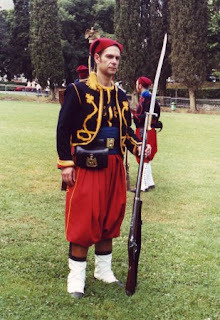 Many of the Austrian defenders were marksmen of the Tyrolean Jägers or hardened Croats who rarely granted quarter. 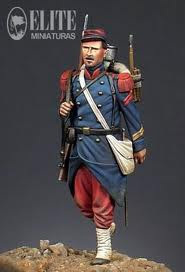 After repeated attacks, the French Algerian Tirailleurs and 70th Line infantry reached the church and the houses around it. 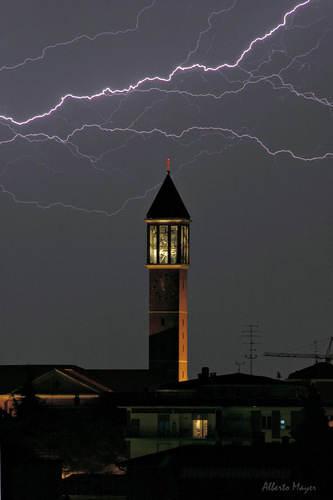 The church was defended extremely bitterly, recalled La Motte Rouge. 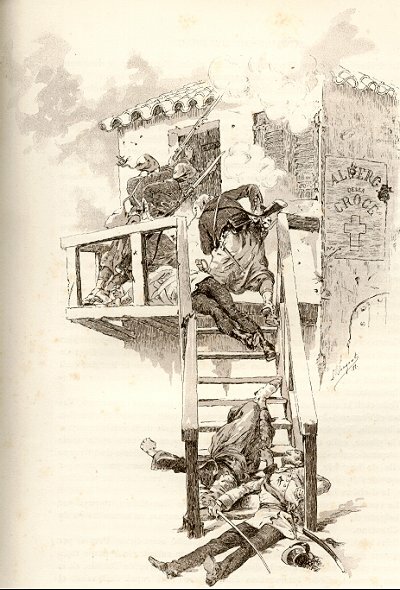 Numerous skirmishers established in the church tower kept up a murderous fire on our soldiers who left many of their number on the ground, which was swept by this downward fire. Only after repeated attempts did they finally manage to surround and seize it, bayoneting all who did not surrender. However, the toughest strongpoint proved to be the cemetery southwest of Magenta, which finally fell. 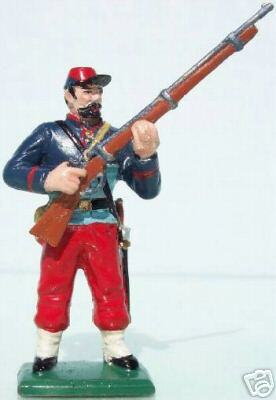 Toward 8:30 p.m., MacMahon's men finally occupied the entire village. Shocked French survivors stumbled into cellars and were soon blissfully drunk.Dead bodies strewed the ghastly field on the morning after the fighting ended. A French newspaper correspondent confessed that after ten minutes, I felt a keen wish to leave and I shut my eyes so as not to see all these pale faces contracted by the final pain. 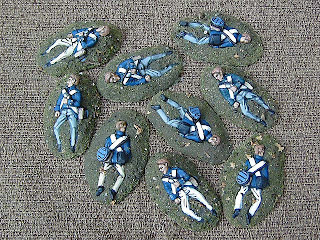 Stretcher-bearers moved somberly through the carnage, each team carrying some bloodstained wretch, and looters prowled the field. The news reached Paris by telegraph on Sunday, June 5. At 7 p.m., the cannons at the Invalides thundered to announce the victory, just as they had fired to celebrate the glorious triumphs of the First Empire. The entire city was illuminated all night, and to commemorate the victory, a new color of dye created shortly after the battle was called magenta. 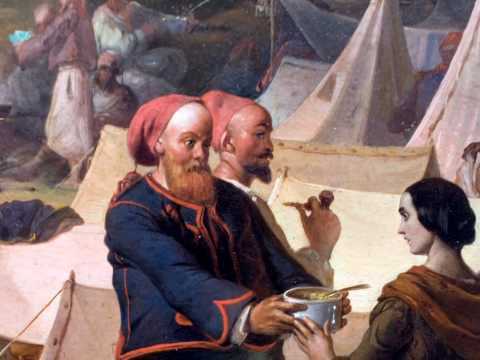 At Magenta itself, the surviving troops were coping with the aftermath of the battle." I fought in Africa and the Crimea, declared a bugler of the 85th Line Infantry, but nowhere was it hotter than yesterday. " A mournful silence covered the desolate scene, broken only by the murmured words of the priests or the sobs and sighs of the injured soldiers. The fallen troops were buried in mass graves at Magenta with little reverence, while trains collected the seriously wounded men from the local railroad station. 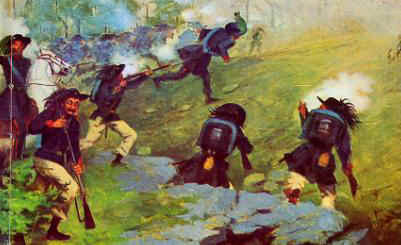 The French suffered more than 4,500 casualties at Magenta. 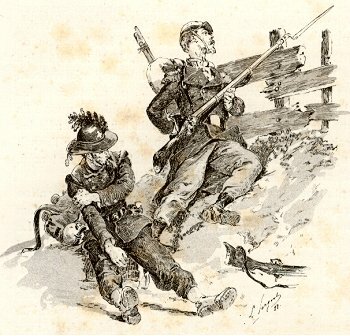 The Austrians lost 5,700 troops killed or wounded, in addition to which lines of dejected Austrian prisoners, 4,500 men in all, snaked westward. Edmund Texier wrote to the French newspaper Siècle, This day will have a great place in our military annals. 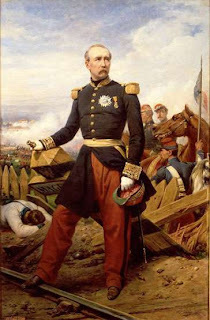 Indeed, Napoleon III promoted both MacMahon and the commander of the Imperial Guard, Maj. Gen. Auguste Michel Marie Étienne Regnault comte de Saint-Jean-d'Angély, to the rank of marshal. He also made MacMahon the Duke of Magenta. 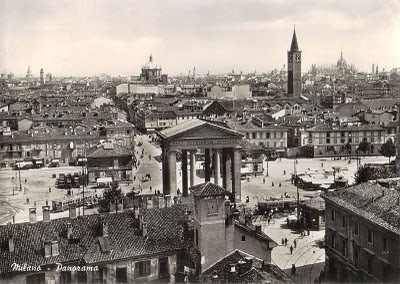 The victory opened the road to Milan for the allies, who entered the city on June 7 and 8, amid scenes of unparalleled rejoicing. Magenta was indeed an epic victory, but not a decisive one. A lack of supplies ruled out an immediate allied pursuit, and the beaten Austrians were able to break contact, retreat 100 miles eastward and regroup to fight again. 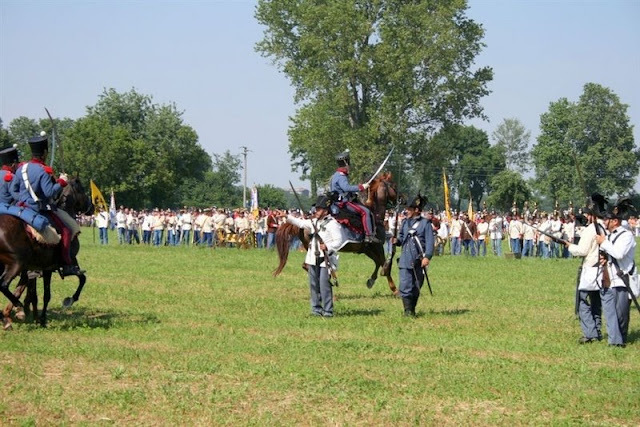 The war itself would end indecisively after another Austrian defeat at Solferino on June 24. Piedmont would gain Lombardy but not Venetia. 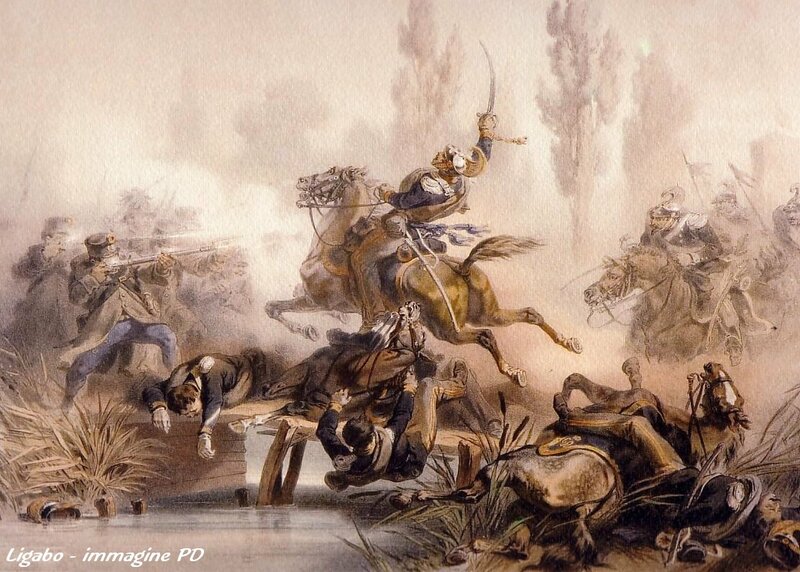 The French defeated the Austrians at Magenta despite the numerical odds and the difficulties of the terrain. 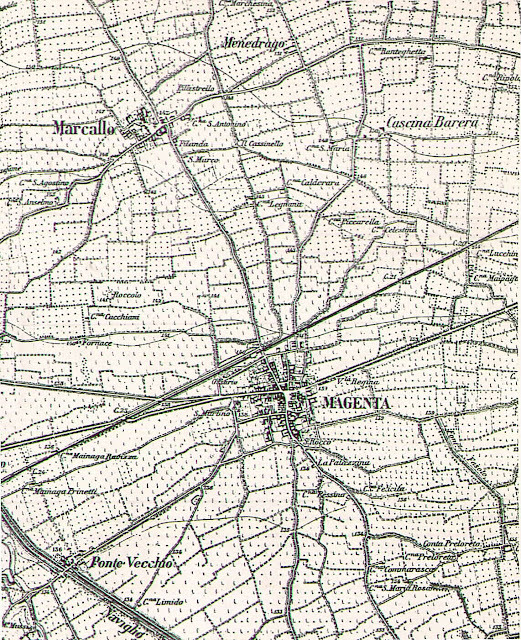 The Austrian troops put up a tough defense of the village of Magenta itself, but elsewhere their resistance was unimpressive. The blame lay partly with the appalling Austrian supply system, for the troops had received no rations for 48 hours. 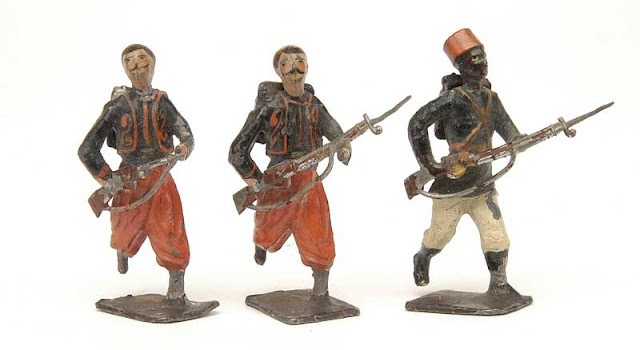 The soldiers came from a wide variety of regions and peoples, and many did not want to fight for the Austrian empire. 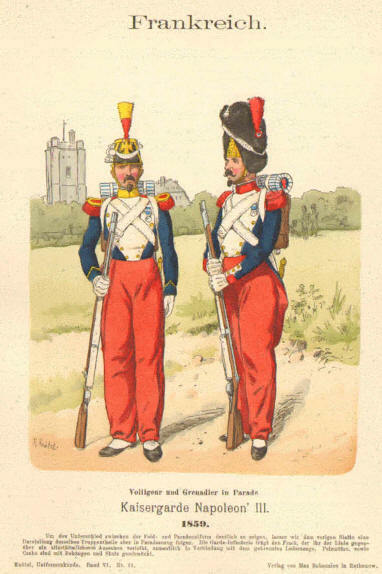 The Austrian high command, like the French, had failed to bring all their troops into battle; only about 54,000 Frenchmen and 58,000 Austrians actually saw action. The French had better training, better troops and better tactics, but these would not have prevailed against a competent Austrian high command. In 1859, as in the Crimean War of 1854-56, the victors won primarily because they were marginally less incompetent than the vanquished. 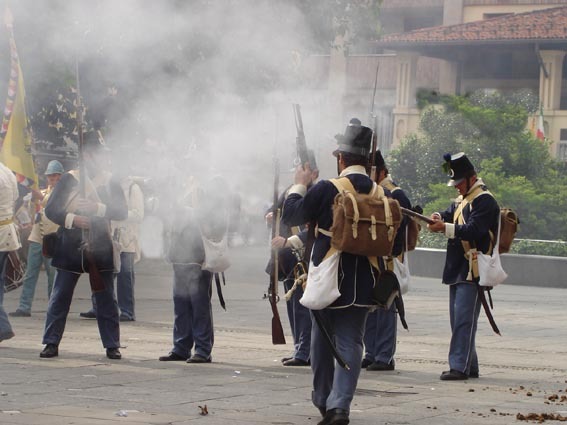 The glory had been won by second-rate generals against a third-rate enemy. Gyulaj understands that they have lost the game and retires meditating a counterattack that won't happen. On the evening of 4 June, after the victorious battle, Emperor Napoleon III ° appoints Mac Mahon Marshal of France and Duke of Magenta. 1859, had seen the Austrians occupy in mass Robecchetto. The Ulans, since the last days of a May that had been very rainy, were on the Porch of the new Church and me and the other girls who went to the recitation of the Rosary wanted to say "a Hail Mary" for them too, because before these men there awaited a huge battle against the franco-Piedmontese (memories of Federica are very accurate, because I found historical sources that speak of the Ulani Civalart Regiment, Division Mensdorff, employed in our area during the war of 1859 especially with the functions of scouting; I have confirmed in detail and that of the subsequent news of the entry of the French in Robecchetto – n.d.r.) 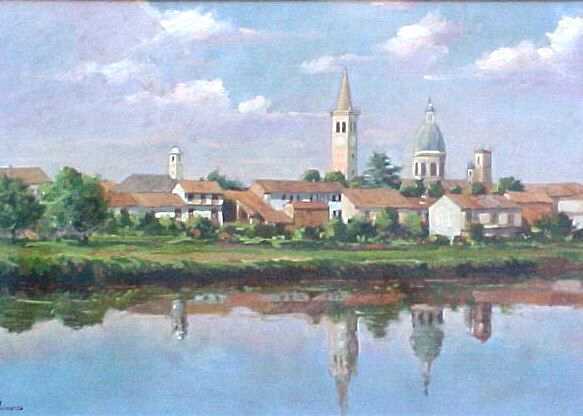 Federica, like all the inhabitants of the country, was concerned.
. Angiolo, Federica's father, behaved so strange: proceeded forth and came back at sunset and at dawn and to the family in anxiety did not give any explanation. 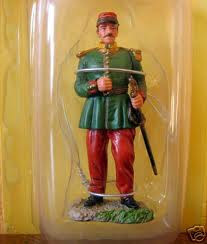 remember the range of toy soldiers we are selling. 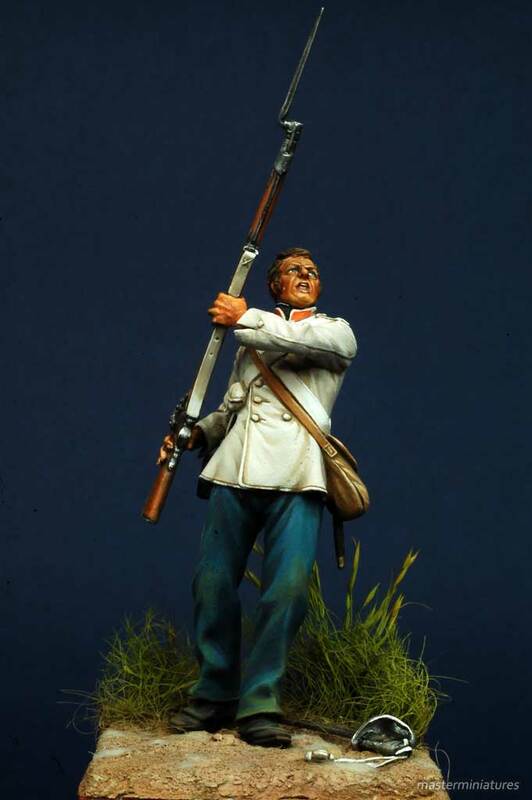 French chasseirs are ready too .